Another glimpse of what Portsmouth’s waterfront looked like with the original Memorial Bridge. In just about eight more months, a replacement bridge will be standing in its place – reconnecting the communities of Kittery and Portsmouth. 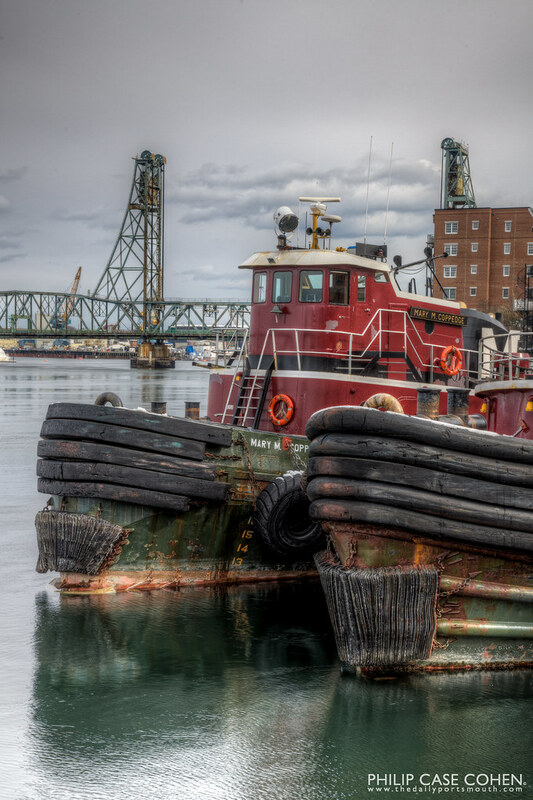 The iconic Moran Towing tugboats sit at rest in the foreground.